Last week, at the Stone Barns Center for Food and Agriculture’s Young Farmers’ Conference, the National Young Farmers’ Coalition started to develop a young farmer federal policy agenda. 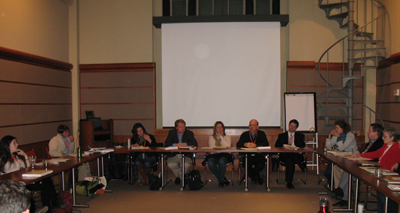 In partnership with the National Sustainable Agriculture Coalition, NYFC convened young farmers and policy makers to brainstorm the policies and programs that young farmer need in the 2012 Farm bill. A handful of federal programs already exist for young farmers. These programs range from grants given to universities and non-profits to train young farmers to the Environmental Quality Incentives Program (EQIP) and Farm Service Agency loan programs. But many young farmers don’t know about these programs, are disqualified because of existing rules or receive misinformation at the local level that prevents them from participating. Farmer Cara Fraver shared her experience applying for an FSA loan, which she was denied because she and her partner did not have 3 years of farm financial management experience. Benjamin Shute recalled his experience contacting an FSA office that incorrectly informed him that there were no remaining funds for the FSA down payment loan program. And Dina Brewster told her tale about receiving Natural Resource Conservation Service (NRCS) assistance to build a deer fence, highlighting the various conflicts that she observed between the National Organic Program and EQIP. As it considers new programs and policies, NYFC is interested to receive more feedback on existing programs and will work towards making them more accessible to young and beginning farmers. Severine von Tscharner Fleming wonders how the USDA can reach more new and beginning farmers. diversified operations are qualifying for FSA loans or participating in the Conservation Stewardship Program, although specific data has not been released. Christa Essig reported that the CDC, along with the public health community, are interested in the intersection between agriculture and health and shared some potential convergences with young farmer issues. Ideas under consideration include government purchasing to support more local and small farms, including school lunch procurement and Supplemental Nutrition Assistance Program (SNAP) benefits, specialty crop research and the expansion of EBT at farmers markets. Ferd Hoefner is focusing on the relatively low rate of young farmers participating in the commodity loan and crop insurance programs, and suggested that there might be opportunities to improve participation rates through the Farm Bill. The National Sustainable Agriculture Coalition is also looking to double the amount of funding for the Beginning Farmer and Rancher Development Program. Neil Hamilton stressed that the greatest opportunity to help young farmers exists at the local level. At the federal level, he suggested that the young farmers movement should look to the tax code, a “major social motivator.” His ideas for tax code reform included a new farmer training tax credit, modeled after existing credits for businesses, which would offer a tax credit to farmers offering on-farm apprenticeships. 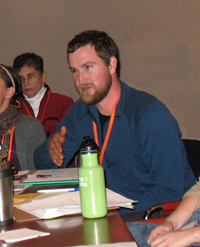 Other ideas included a capital gains tax exemption for individuals that sell land to a new or beginning farmer, an idea that has been introduced in the past, and a tax deduction for income received on long term leases for new and beginning farmers and a bonus for a right to purchase agreement. Brandon Willis, Deputy Administrator for Farm Programs at the Farm Service Agency, stressed that any new programs should work for all beginning famers—organic, conventional, big or small, and that the issues of land access and start-up costs were universal. With a list of good ideas for program improvements and new policies in hand, NYFC will begin to look at each suggestion in more detail. 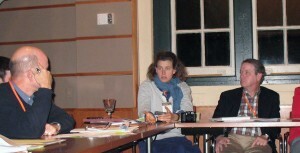 The coalition aims to publish a full policy platform in Spring 2011. In the coming weeks, look for stories on each of these policy ideas and what it will take to move them forwards. If you’re interested to help the Young Farmers’ Coalition with policy research, please email Lindsey[at]youngfarmers[dot]org.